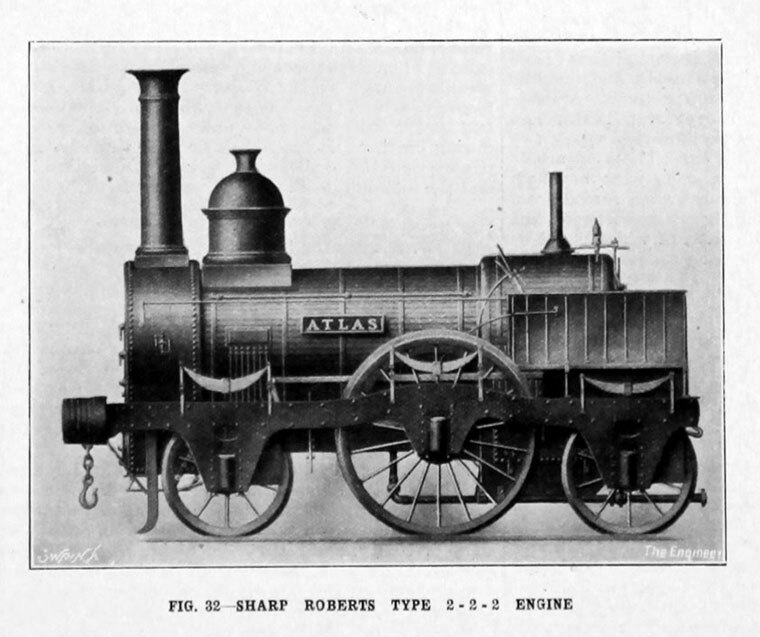 Sharp, Roberts and Company of Faulkner Street (Globe Works) and Great Bridgewater Street (Atlas Works), Manchester were an engineering, machine and locomotive manufacturing company formed by Thomas Sharp and Richard Roberts. May 1826 Roberts, Hill and Co and Sharp, Hill and Co were dissolved and re-formed as Sharp, Roberts and Co.
1828 William Crossley of Sharp, Roberts and Co was listed as a contact in relation to advertised sale of flax mill in Wrexham . 1828 Opened the Atlas Works to manufacture textile machinery and machine tools. 1833 They had built a few stationary steam engines, and then built a locomotive, Experiment for the Liverpool and Manchester Railway. It was a four-wheeled 2-2-0 with vertical cylinders over the leading wheels. After a number of modifications, three similar engines were built for the Dublin and Kingstown Railway. Although they were relatively fast, they were too hard on the track at speed. 1833 Trial of steam-powered coach on Oxford Road, Manchester; it had been designed by Mr Roberts and built by Sharp, Roberts and Co .
1834 Charles Beyer joined the firm. 1834 Hibernia was a steam locomotive built for the Dublin and Kingstown Railway. The locomotive had vertical cylinders driving via bell cranks and was one of a class of three similar locomotives (including Experiment). Hibernia pulled the first train on the D&KR on 9 October 1834, which consisted of eight carriages. 1835 A slotting machine produced by the company in 1835 is displayed at Manchester's Museum of Science and Industry. See Sharp, Roberts and Co: 1835 Slotting Machine. 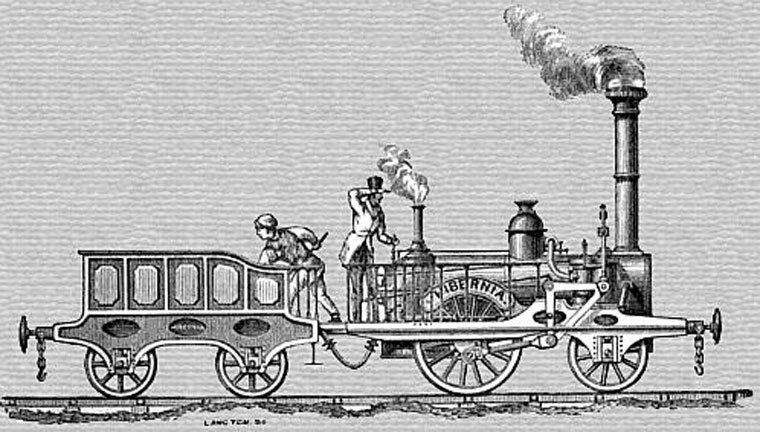 1837 A new 2-2-2 locomotive design was produced with horizontal inside cylinders under the smoke box and additional bearings to support the crank axle. Around 600 of these locos were built between 1837 and 1857. Ten of the first were sold to the Grand Junction Railway, with the "Sharpies" becoming a standard to compare with the "Bury" engines. 1838 The company had 3 establishments, in Falkner Street and Great Bridgewater Street, one of which was the Atlas Works where locomotive engines were assembled; Thomas Sharp, John Sharp and Thomas Sharp, Junior were present at the visit of Marshall Soult . 1841 Listed as Sharp, Roberts and Co, machinists, engineers, boiler makers, etc., 79 Faulkner St and Great Bridgewater St . This page was last edited on 27 September 2017, at 22:24.